If you need to allow or restrict a service for any particular user or users, you can use the "Policies" tab. This tab lets you enable or disable selected services for the user. These settings are also considered by the licensing engine when comparing the license size with the amount of activated user seats – only user accounts are licensed. Navigate to Domains & Accounts > Management, select the domain then choose the appropriate user account, click on the "Policies" tab of the account, and check/uncheck the desired service. 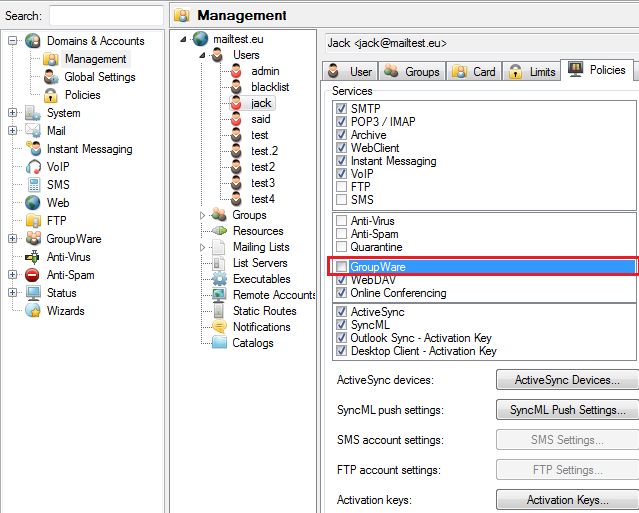 The following example shows the GroupWare service being restricted for "jack"
You can also do this on a domain-level. 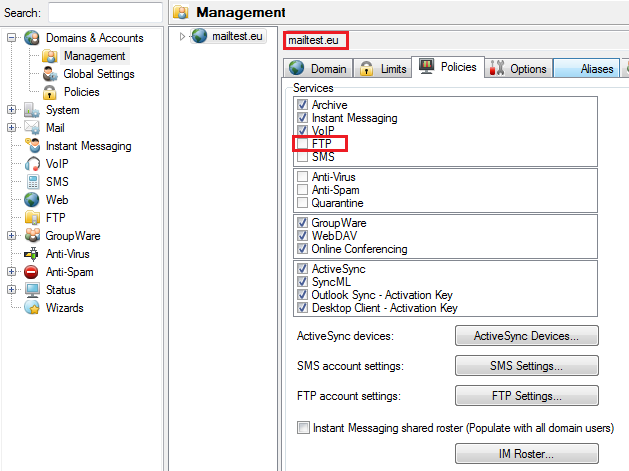 The following example shows the FTP service being restricted for the whole domain. Make sure you click the Save button. Once this is done, the specific domains or users will not be able to receive the service you just restricted.